The newly remodeled Club Seabourne on Culebra Island draws one in. Blessed with great reviews, it is surpassing expectations of all who visit — and we were lucky enough to have the chef share his recipe for Fresh Culebra Island Lobster with Cassava. In a medium pot over medium heat, heat water and salt for 10 minutes and then add the cassava for 10 – 15 minutes until cooked. After cooked, let it rest until cooled down. Then cut the cassava in squares. In another big pot over a medium high heat, place the complete lobster for 20 minutes. 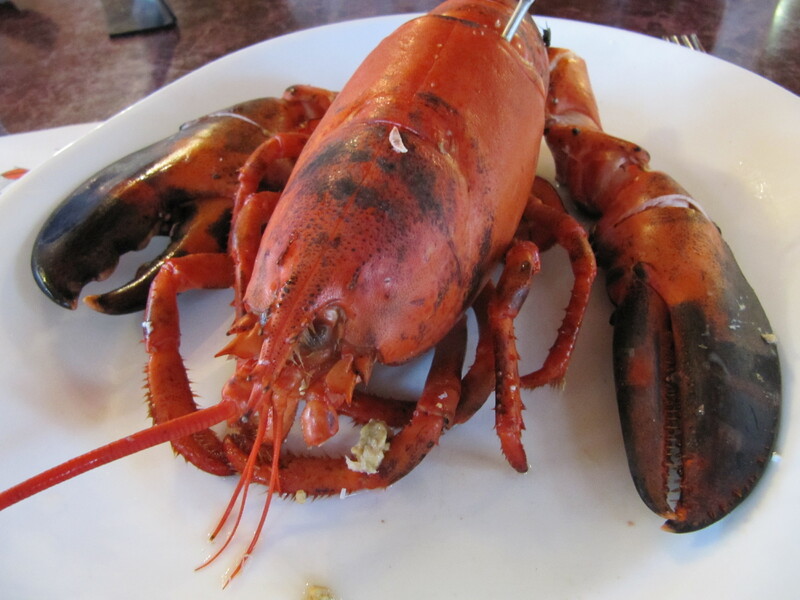 Cut the Lobster in the middle (half and half), and take out all meat from the shell. Cut the meat in dices of 1/2 inches. Keep the shell for the final presentation. In a bowl, mix the salt, pepper, vinegar and the olive oil to prepare the vinaigrette. Add the chopped red and green peppers, the onion and cilantro. Add the cassava and the lobster already cut. 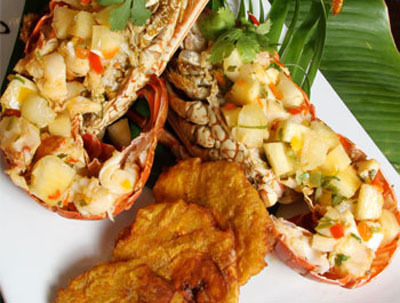 Mix all ingredients and after marinated, fill each side of the lobster shell with the marinated lobster and cassava. Method: Peel the plantain and cut in six pieces. Soak the plantain cuts in water and salt. Transfer to paper towel to drain. In a frying pan over a medium high heat add the olive oil until hot. Fry the plantain pieces until golden. Transfer to paper towel to drain. Crush the plantain and fry again for 3 minutes. Drain again. Add salt and enjoy. To learn more about Club Seabourne on Culebra Island to go to http://www.clubseabourne.com. Next4th Annual Napa Truffle Festival Was a Success!